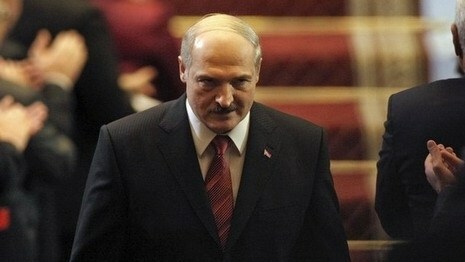 President of Belarus Alexander Lukashenko offers Japan to build a nuclear power plant in Belarus. He said this on February 20, receiving credentials from Ambassador of Japan Tikahito Harada. “If you decide to build a nuclear power plant somewhere, Belarus should head the list,” said the head of state. “You have to build a nice, good nuclear power plant. The Japanese know how to do it, in my opinion, much better than many others,” said President of Belarus, BelTA informs. According to Alexander Lukashenko, Belarus is ready to share its experience with Japan to overcome the consequences of the Chernobyl disaster, and to invite Japanese children from regions affected by the nuclear power plant “Fukushima” to improve their health in Belarus. “You were almost the first to help us after the Chernobyl disaster. Now, your land is in trouble and we are ready to use this common experience for the benefit of our peoples and countries,” said the President. The Belarusian Presidents goals are not all related to nuclear energy however, there are quite a few countries lining up to court some of Japan’s departing corporations in wake of the March 11th disaster. President Alexander Lukashenko assured Ambassador of Japan Harada Tikahito that Belarus is ready to provide the most favorable conditions for the production of Japanese cars. “Until now, our cooperation has been focused primarily on the humanitarian sphere. But we are interested in further deepening,” said the Belarusian leader. “We provide the most favorable terms. Make cars in Belarus and sell them within the common customs space, trade with Europe. We will work with you in a proper way. There are a lot of projects. Therefore, you are welcome. We will create better conditions for our producers than in Japan,” said Alexander Lukashenko. President Lukashenko did not comment on his recent decision to offer Chinese investors to participate in the construction of a new nuclear power station in Minsk. Beyond the new nuclear power plant, officials have also announced plans to build a Chinese and Belarusian ‘Nuclear Industrial Park” in Minsk. According to the plan of the authorities under the Industrial Park will be given 80 square kilometers in area Smolevichy. 30 for demolition fall gardening associations, 15 villages and four children camps – more than 10 thousand civilian buildings. However, local residents, as well as a number of environmental organizations and political movements are dead set against this project, urging the authorities to reconsider its decision future park and move to another location. In late January, Japan has already started talks with Ukraine, where the Chernobyl complex is located, to conclude dialogue to negotiate a cooperative agreement to share lessons learned in wake of the Chernobyl and Fukushima Disasters. Prime Minister Yoshihiko Noda also told visiting Lithuanian Prime Minister Andrius Kubilius that Japan will cooperate with his country in the field of nuclear energy by sharing the lessons learned from the Fukushima nuclear accident. Lithuania plans to build a nuclear power plant around 2020. Last July, Japanese electronics giant Hitachi and its US partner General Electric obtained preferential negotiating rights to build the Lithuanian plant. Noda said Japan will help Lithuania enhance its nuclear safety by sharing its experience and the lessons it learned from the Fukushima Daiichi plant accident. On Tuesday, Japanese officials announced plans to negotiate a similiar agreement with Belarus. Japan hopes to conclude the agreement by the year-end so that data on radiation exposure and soil contamination accumulated by Belarus since the 1986 Chernobyl nuclear disaster can be promptly used to treat people exposed to radiation from the Fukushima Daiichi nuclear plant, crippled by the March earthquake and tsunami, and decontaminate the soil, the official said.